Adding life insurance as a product offering within your agency will add bottom line revenue at little to no cost to you. It can also increase the retention rates of your existing clients. Read a guest post from NinjaQuoter about how adding life insurance quoting can add revenue. ITC has partnered with NinjaQuoter so you can add live life insurance quoting to your Insurance Website Builder website for as little as $39 a month. Current Insurance Website Builder customers can sign up directly within the administration console. If you're not an Insurance Website Builder customer, you can sign up for a free trial here. Or, call (877) 286-4652 for more information. NinjaQuoter is a technology vendor providing life insurance and final expense quoting forms to website owners. NinjaQuoter helps you provide quotes on your insurance agency website and does not sell life insurance directly. Why use NinjaQuoter over my existing quote forms? NinjaQuoter provides actual life insurance quotes to your clients. Consumers today expect instant results and your existing quote request forms do not provide that. Adding actual quotes to your website will create an income stream for your agency. What happens when a client gets a quote on my insurance agency website? A client gets a quote on your website using an embedded NinjaQuoter quote form. Once he receive his quote, the consumer's information is sent to you via email, text message or sent right into your CRM system. You will then need to call your new client to complete the sale. What if I am not licensed to sell life insurance? Selling life insurance requires a life license by either the agency owner or an agency employee. You can still add life insurance quoting to your website and sell the leads for a premium. Email info@ninjaquoter.com to facilitate any lead sales. What are average commission rates for life insurance? Commissions vary by general agency, carrier and individual products. Typical average commissions range in the 70-110 percent range and can be lower or higher depending on a multitude of factors. Commission is based off of the annual premium, so a $1,000 premium life insurance policy will pay an average of $700-$1,100 commission to the agent. What is involved in my quoting life insurance to my clients? After adding quoting to your website, you will gain interest from clients in obtaining life insurance. Agents will ask a series of questions to determine appropriate rates based on build, tobacco status, driving history and family history to name a few. Email info@ninjaquoter.com for additional underwriting resources. What happens when I call my prospect and sell them life insurance? Selling life insurance requires a carrier contract thru a general agency. NinjaQuoter is not a general agency. Below are three options when it comes to how to process a sold life insurance prospect. If you have an existing relationship with a general agency that you send all your life insurance business to then it is business as usual. Add NinjaQuoter life insurance quote forms to your website to give consumers the online quoting experience they expect and get a lead sent to your inbox or CRM to call and sell. Send that sold case to your existing general agency relationship using their business processing channels. Visit DigitalBGA.com, a general agency, to review commission grids and business processing rules if you are looking for an outlet to send your insurance business to. DigitalBGA provides a one-page application system that allows agents to get their leads via NinjaQuoter, make contact and sell and submit a one-page application to a third-party call center. The third-party call center calls your client to complete the paperwork, coordinate any medical exams and proactively facilitate the application process. Simply put, you contact the lead, you quote and sell the client, and they do the rest. 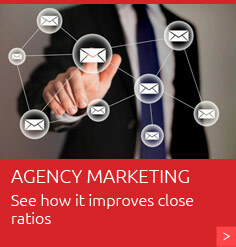 This service pays you 100 percent of your agent commission level (ranging from 70-110 percent). Refer the lead to a third-party call center without ever talking to them. This service allows agencies with zero life insurance experience the ability to earn life insurance commissions by referring their clients to a life insurance service center to be contacted, quoted, sold and processed. At the end of the process, you collect a commission for nothing more than referring the client. 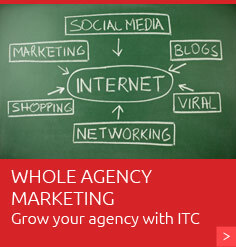 This service is white labeled to your agency, so to consumers it appears that they are speaking to your firm. You market; they sell and place the case all for you. There is a 50/50 commission split of your agent commission level for this service. What carriers does NinjaQuoter quote? Currently, NinjaQuoter works with competitive term, permanent and final expense carriers. If you don’t see a carrier on the list, NinjaQuoter is more than happy to add them for your agency. Does NinjaQuoter help me generate leads? NinjaQuoter does provide lead generation services to compliment ITC’s SEO services. Email info@ninjaquoter.com for more information about lead services. NinjaQuoter charges a fee as low as $39 a month, with an annual discount at $429.